As Tony Thirlwall puts it in The Nature of Economic Growth, there is a fundamental asymmetry bewteen exports and the other components of aggregate demand: exports are the only component of aggregate demand whose increase determines an inflow of foreign currency. This asymmetry implies that the rate of growth of an economy may be balance-of-payments constrained on the long-run. The paper by Bagnai, Rieber and Tran uses the balance-of-payments constraint to explain the growth performance of Vietnam in the last two decades, as well as to forecast the impact of the global financial crisis on the Vietnamese economy. A revised version of this working paper is forthcoming on Journal of Post Keynesian Economics. 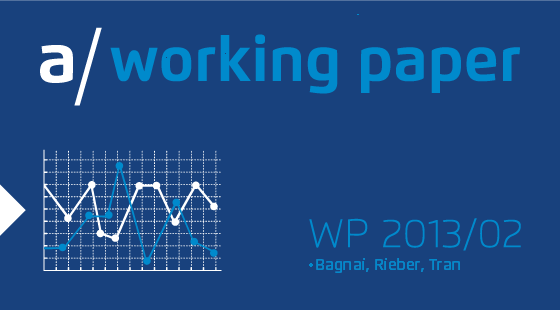 Due to copyright restrictions, the working paper version is no longer available for download. It will be available again after a 18 months embargo. Thanks for your understanding and for supporting our research.